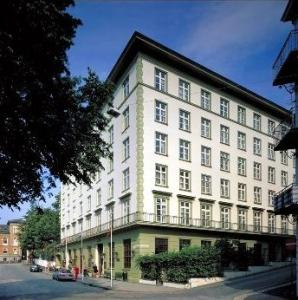 The conference will take place at the classic Hotel Grand Terminus in the center of Bergen. EuroComb 2015 will be organized in Bergen, Norway, August 31 to September 4. 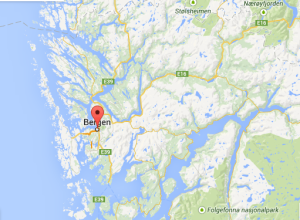 Bergen is called the ‘Gateway to the Fjords’, and for the excursion we plan a hike in the mountains. Actual prices will be in NOK. At current rate NOK 100 is about € 12. The registration fee includes five daily buffet lunches, coffee breaks, a hiking excursion, a concert and reception for the prize ceremony, but not the conference dinner. The conference dinner is on Wednesday and will include a boat trip, as the restaurant is on an island. Note that the registration does not include hotel rooms. See below for hotel information. The registration is now closed. If you have any questions, please contact Pål Grønås Drange at Pal.Drange@ii.uib.no. September is still tourist season in Bergen so hotels must be booked early. We have negotiated special prices on a limited number of rooms, in the hotels below. If you would like a double room and have no-one to share with, you can send an email to Pal.Drange@ii.uib.no and we can put you in contact with other people who might want to share. As of August 11 we have hardly any reserved rooms left. Please go here to make your booking at Grand Terminus with these prices. Our prices are NOK 850 for single and NOK 1050 for double rooms. Please go here to make your booking at Augustin with these prices. We had reserved (until July 1) 3 single and 7 double rooms. Our prices are NOK 990 for single and NOK 1190 for double rooms. Send an email to post@steenshotel.no to book and mention that you are participating at EuroComb. We had reserved (until July 30) 5 single and 12 double rooms. Our prices are NOK 980 for single and NOK 1380 for double rooms. Send an email to booking@hotelpark.no to book and mention that you are participating at EuroComb.